“There’s an app for that.” Apple’s famous tagline sticks in the memory of people years after it was first spoken. These days, there truly is an app for every “that” we can think of. 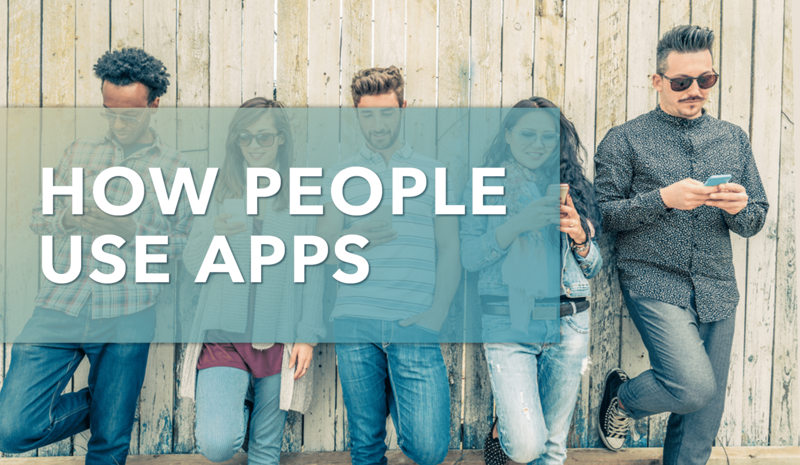 The average smartphone user browses through 10 apps every day for a variety of reasons. Apps seem to rule our lives, making everything easier and more accessible. App developers spend countless hours trying to figure out exactly how people spend their time on apps. Recently, experts in the app development field have weighed in on the vexing conundrum, giving others in the industry some of their valuable insight on how the general public use their apps on a daily basis. The most interesting finding discussed by the experts is that the average person is not using one single app more than 20 percent of the time while they are on their phone. The use of apps is fairly equal across the board, with no one app receiving much more love than another. Experts also say that a long time spent on a single app isn’t always a good indicator of your need or like for that application. Often, a good app allows people to do what they want to do quickly. If a customer is spending too much time on your app, something may be wrong with its functionality. Today, the app industry is still experiencing growth, but the most popular apps include games, entertainment, travel, retail and finance. As a developer, it is good to know which industries have the most successful apps. If you are trying to break into the market, creating an app for one of these industries or purposes would be in your best interest. The one area you may want to avoid is Augmented Reality. So far, AR apps haven’t seen the success that insiders expected. If you need help with app development or need an app built from the ground up, reach out to our team for assistance. We can help you during any stage of development or create an app for you from scratch. Our team is happy to assist you, no matter what you need.